I absolutely loved the program! I am not a biology major, but touring the temples and seeing the beauty of the gardens was a once in a lifetime experience. I would sign up right away to do it again! I intend to pursue an international business major (on top of my management major) once accepted into Kelley, and the study abroad experience will be applied towards that major. When I first landed in Japan, I was really excited to be back. I had lived there before and I remember feeling that initial culture shock of being somewhere completely different than what I’m used to. It was very busy and crowded, and I’m not used to that living in Plainfield. I had never been in Kyoto before, so while on the train to the hotel, I was admiring the beauty of the city. We stayed in a “normal” hotel, like something you’d stay at in the states, but it was much smaller than ones in the U.S. Towards the end of the trip we stayed in a traditional style hotel called a Ryokan. We also extended our stay, moved to Tokyo, and stayed in a capsule hotel. This was the most interesting experience. I took Biology, Design, & History of Japanese Gardens (BIOL-N 230). I would advise others to do plenty of research on the programs offered, and choose one with ample time to prepare and save. Apply to as many scholarships and grants that you can find, because these really do alleviate the burden of study abroad expenses and end up being worth the effort. 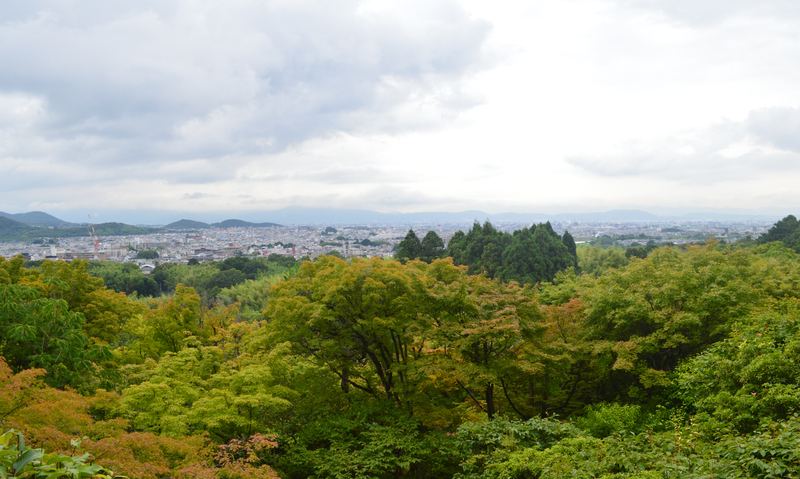 In our leisure time, we would get together, explore the city of Kyoto, and try new food. 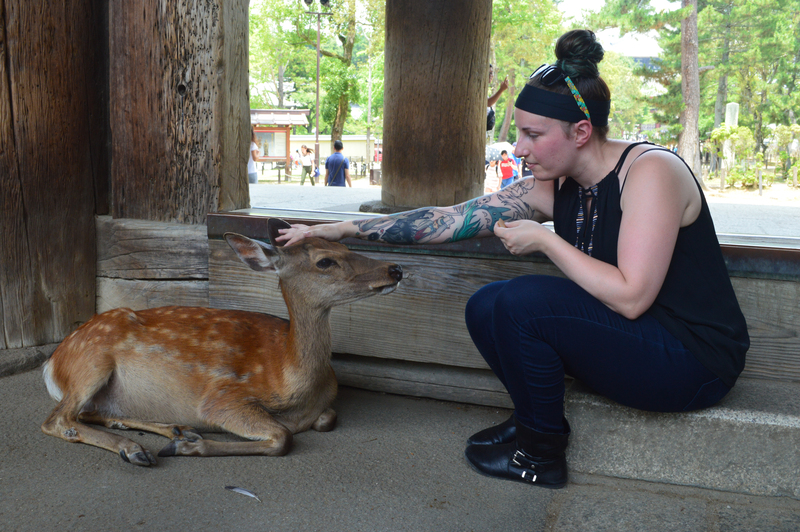 There was so much to do and see in Kyoto! I would go out with the girls a lot and go shopping. The girls and I went to Tokyo at the end of our trip and explored Akihabara, and Shibuya. The language barrier was very hard to overcome. I completed one year of Japanese, but it wasn’t nearly enough to understand what people would try to tell me. Luckily, we had a guide that spoke Japanese, and she would help as often as she could. Keep an open mind when traveling abroad. You’ll likely see customs or traditions that seem weird to you, but take the time to learn and understand the culture.